It's about that time to spread some holiday gear. More and more retailers are kicking off their Black Friday and Cyber Monday sales, making now the best time to get that gear you've been eyeing all year at a sweet price. Our friends at Huckberry have been a go-to resource for well-curated, stylish, high-performance essentials for everything from outdoor adventures to cozy living at home, and the EDC gear we depend on to get us there and back. Their Black Friday sales are already live, and they've got an especially impressive selection of bags, pouches, and wallets discounted. We've rounded up the 10 best deals for the EDC crowd from their shop in this guide to help you get a jump on this weekend's shopping frenzy. Spring has sprung. It's time to ditch your winter coat, say goodbye to all those pockets, and get back outside. While the warmer weather is a welcome change of pace, it's not always sunshine. Spring usually means rain, so it's important that your EDC gear has some level of water resistance. It’s also the time of year to reintroduce more color to your wardrobe, so why not brighten up your gear too? A bit of color in your EDC also serves a practical purpose — it makes it easier to find your gear, especially in the outdoors. 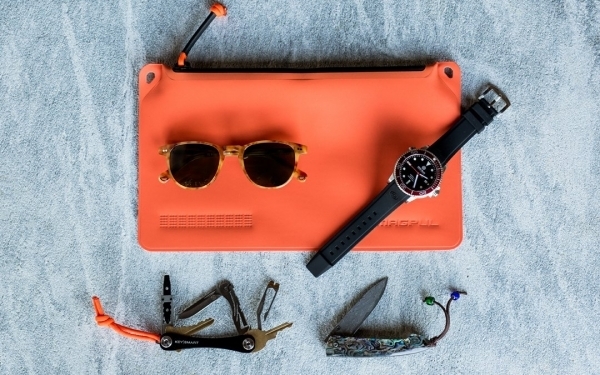 In this loadout we've curated with help from our friends at Huckberry, you can find some weatherproof gear and hi-vis essentials to cover your bases in style this Spring. Not all EDC gear is created equal. Some tried and true essentials rise above the rest and become your go-to gear. 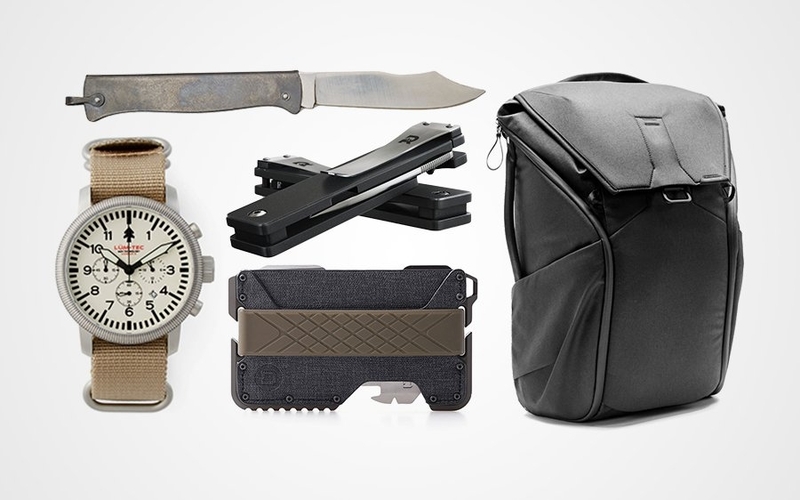 Our friends over at Huckberry know a thing or two about adventuring, and these are some of their best selling tools you can add to your own carry. Whether you’re looking to replace a specific item or two, or want some durable essentials for your next adventure these are some solid recommendations to keep your bases covered. It’s rare that a knife manages to blend technical design with classic aesthetics and look good doing it. The Cordovan Lite flipper knife by Klecker Knives does just that. Layered black and brown G10 resembling wooden inlays accents its rugged stainless steel handles, while polished brass hardware completes the knife’s traditional styling. Aside from its unique appearance, the Cordovan Lite features a patented locking mechanism that functions like a cross between a lock back and a frame lock. Rounding out its set of EDC-friendly features are an easily deployable flipper opening, four-way pocket clip, and modest 2.88” blade. If you've been looking to class up your everyday carry without compromising modern performance, check out the Cordovan Lite at Huckberry below. Mechanical pencils are far better suited for EDC use than their wooden counterparts, but most are made of flimsy plastic. 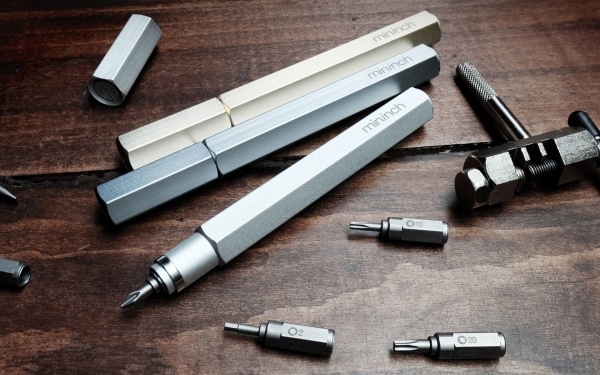 Modern Fuel has created their own take on the mechanical pencil, machining it out of solid metal. This precision-made pencil looks simple, but the attention to detail and substantial feel in hand set it apart from the rest. 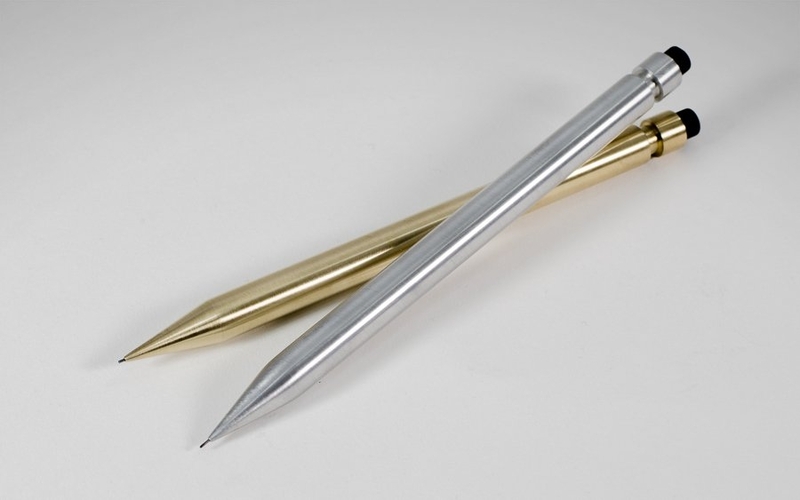 Each piece of the pencil seamlessly blends into each other, giving the illusion that it's a single piece of metal. Included with the pencil is a pocket clip for easy transport and a unique cork case to keep it safe in your pocket. If you’ve been looking to ditch disposable plastic pencils for something more permanent, consider picking one up from our friends at Huckberry via the link below! 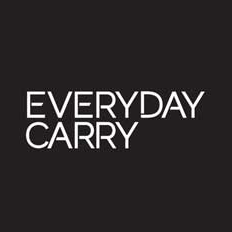 Exclusive discount for Everyday Carry readers: You can save 20% off any order with code HB20EDC until 10/31 to pick up great EDC essentials and other outdoors gear at Huckberry! 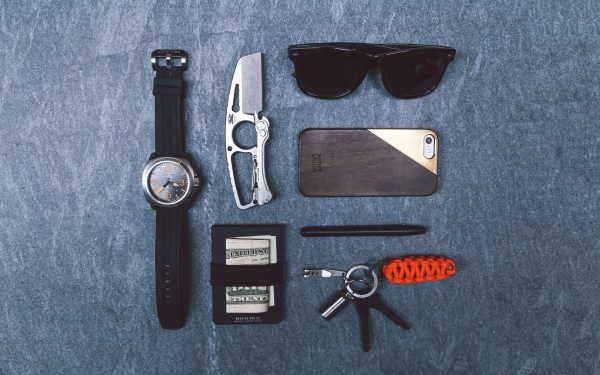 Each month, our friends at Huckberry assemble a pocket dump of their strongest offerings. This month, they’re pulling all the stops with an all-star team of essentials, including a premium pair of headphones, flavored toothpicks, a vintage-inspired watch, a highly organized wallet, an instant EDC for your keys, and a pair of luxury glasses. 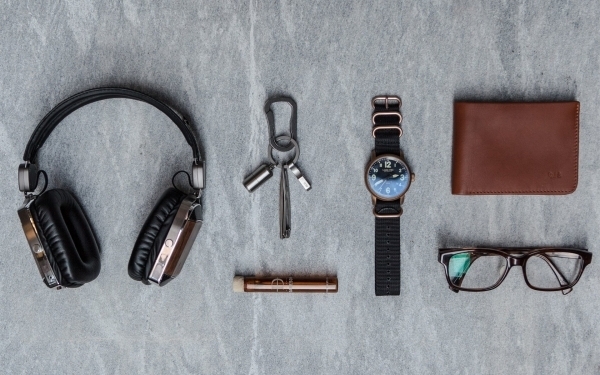 Read on to discover some instant classics for your everyday carry. These days, it seems like many EDC wallets haven’t cracked the cash carrying conundrum. Folding your cash twice over works best with just a few bills, while traditional moneyclips can scratch up your other pocketable gear. Bison Made’s Cash Fold ups the amount of cash you can carry without scratching or poking in the pocket. The secret lies in its simplicity. 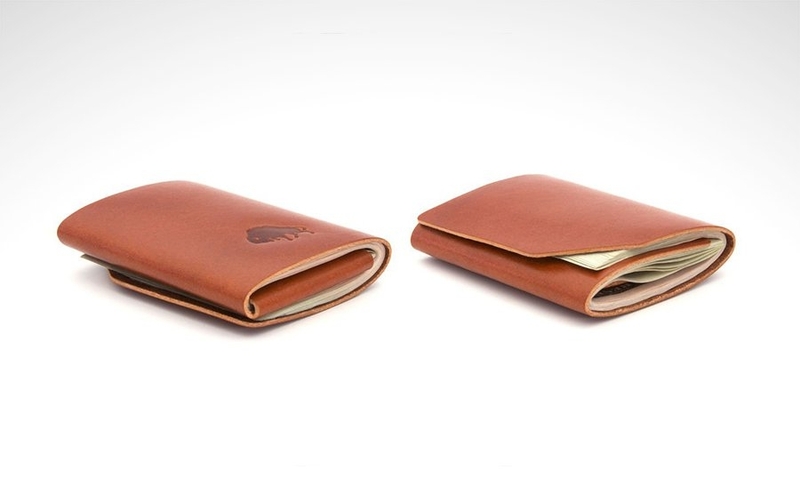 It's a single piece of high quality Horween Chromexcel leather that aligns and guides your cash into neat, crisp folds. It accommodates a fat stack of up to 30 bills for when you’ve got the cash, but rides separate from your main cards when you don’t. You can pick one up from our friends at Huckberry at a 20% discount with the promo code HB20EDC until 10/31/15 (first orders only, some product restrictions apply) at the link below. That’ll leave your wad of cash a little heftier. 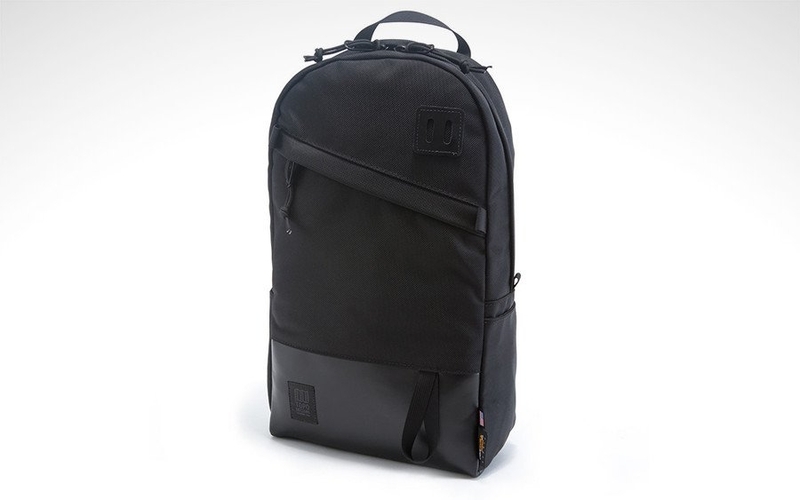 The Topo Designs Daypack is a mid-sized bag meant to get you through a full day of activity. Inspired by vintage outdoor goods, this bag blends retro looks with modern construction and functionality. Featuring a durable 1000D Cordura nylon construction, padded laptop sleeve, fully lined hi-vis interior, and internal organization panel, the bag makes it easy to store and retrieve your gear. The Topo Daypack’s 22.4 liter capacity is a great middle-ground for carrying your daily essentials without the pack itself getting in the way. It wears comfortably, even when fully loaded, thanks to the padded back and breathable mesh shoulder straps. If you need a bag for just the essentials that doesn’t look overly loud or tactical for everyday wear, consider this capable daypack from Topo Designs. Reaching for your keys and realizing they’re not there gives everyone that sinking feeling. 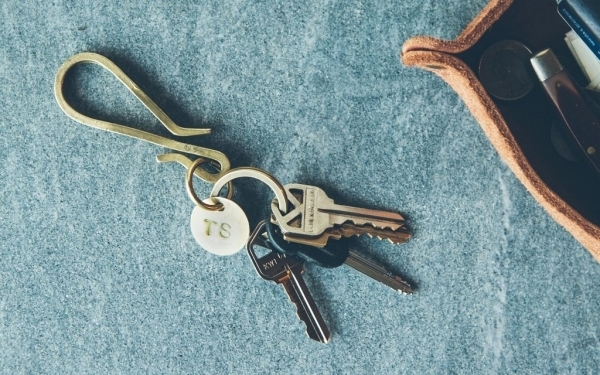 Keep them close at hand with the Raw Brass Keyhook by Taylor Stitch. This great looking key hook makes it easy to suspend your keys from a belt loop. It’s long enough so that can tuck your keys into your back pocket for an added layer of security. The raw brass will patina over time, aging to a beautiful golden brown. Each hook includes a brass key ring and ID plate to hold the rest of your key setup, and it can even open bottles too. Hit the link below to pick one up from our friends at Huckberry. 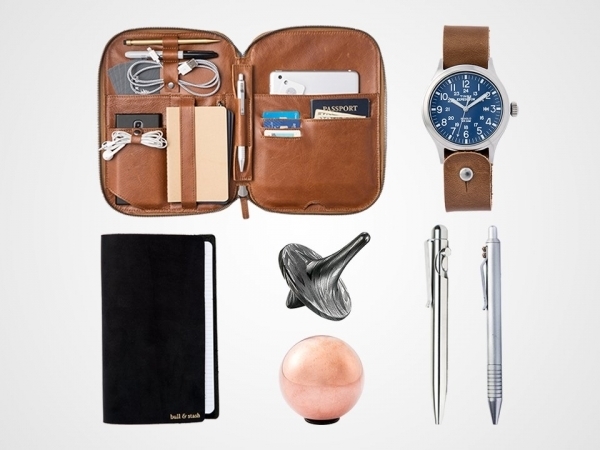 Our friends at Huckberry have a great eye for form and function in daily essentials. This month, they've put together this pocket dump of high performance, high design gear with a nod to the outdoors. 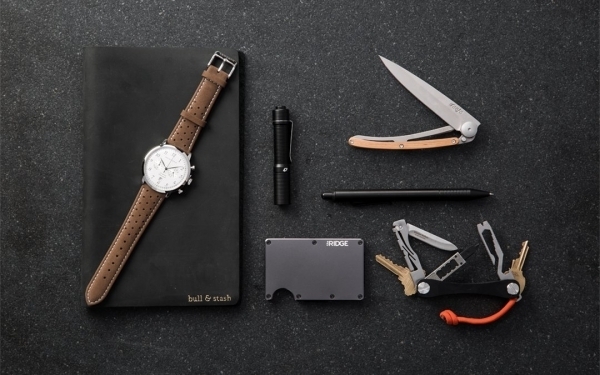 With designs ranging from minimal to overbuilt, this setup includes a machined pen and wallet, a survival keychain system, a unique fixed blade, and more. Minimalist wallets are great for getting rid of uncomfortable pocket bulge, but they’re not perfect. The most inconvenient part about these wallets is taking out the tiny origami-like cash you’ve folded up to fit inside. 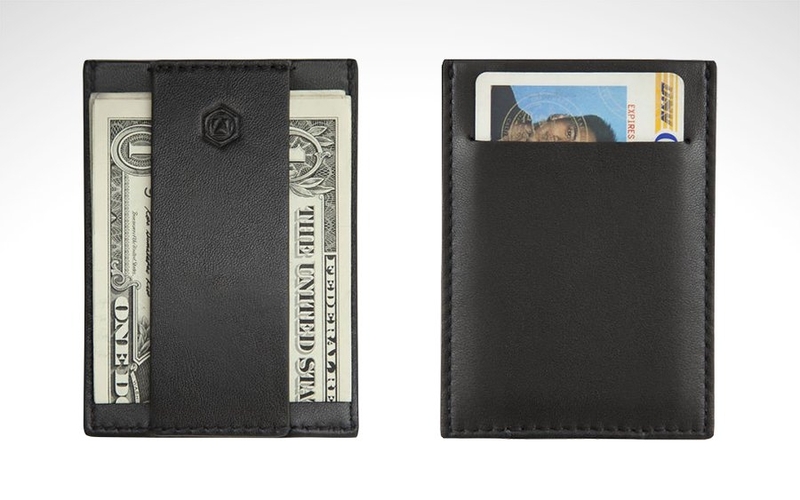 Capsule aims to eliminate the issue with their premium full-grain leather Blackout Wallet. The unique CashStrap design allows you to easily store and access bi-folded bills, speeding things up at checkout. There’s also an integrated slot on the other side for two of your most used cards, and a top sleeve that holds up to four more. Capsule proves that a minimalist wallet doesn’t have to be minimal on features, looks, or construction. 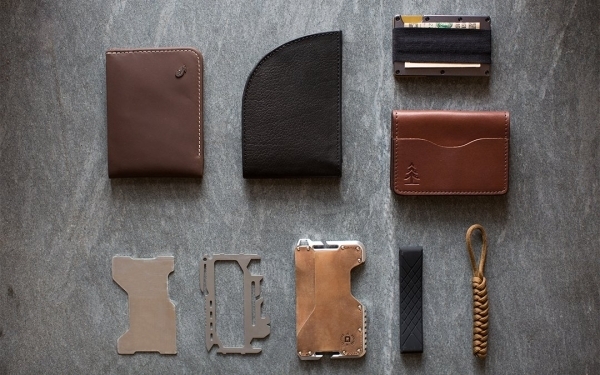 Pick one up at Huckberry to slim down your carry with style. 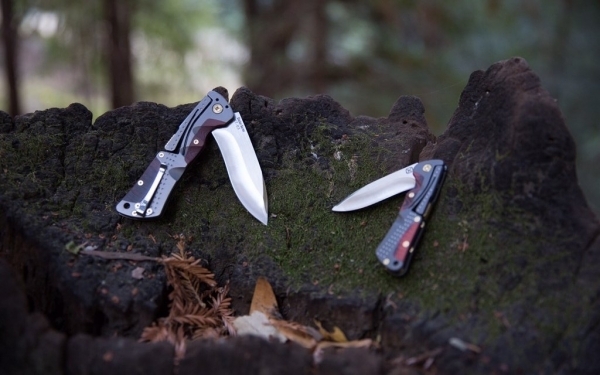 Compared to folding knives, fixed blades are hugely popular amongst the outdoors crowd. They have heavy-duty blades and fewer moving parts to fail under hard use. However, their exposed edge, longer length, and lack of pocket clip means you'll need to carry it in a bulky sheath. DPx Gear provide a more pocketable solution with their HIT Cutter. This unique knife retains all the benefits of a fixed blade while making the knife easier and safer to carry thanks to its pivoting edge guard. To use the knife, simply swing the guard backwards into the grip. When you're done, flip the lock back over the blade and clip it on your bag or belt loop with the integrated carabiner. Designed by a combat journalist with 30 years of experience in the field, this innovative blade finally lets you carry a strong fixed blade without the bulk. Needing to juice up your phone is already an annoyance, even more so when you don’t have a charging cable handy. 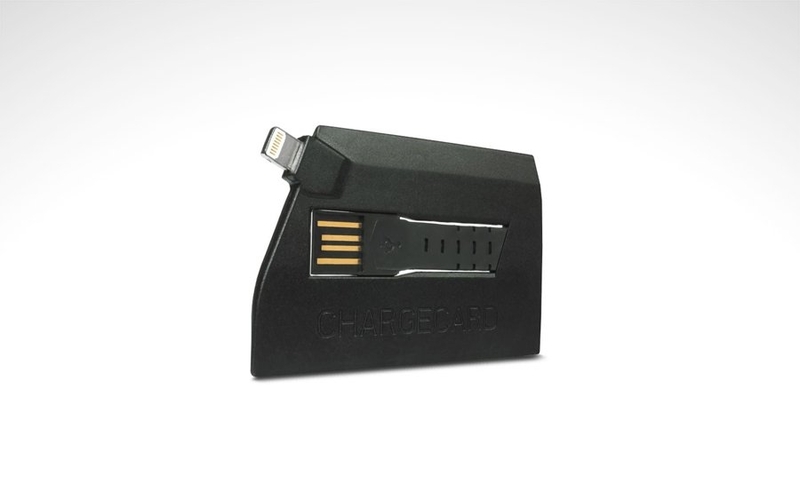 Nomad ensures that you’ll always have one close by with their ChargeCard. This flat, foldable cable is the size of a credit card and can easily slip into your wallet. Available with either a Lightning connector or a Micro USB, you can charge and sync a wide array of compatible devices. Charge up your carry with this convenient, American-made cable at the link below. Carrying a whole bunch of screwdrivers isn’t exactly EDC-friendly, as even the best bit drivers can be too bulky. 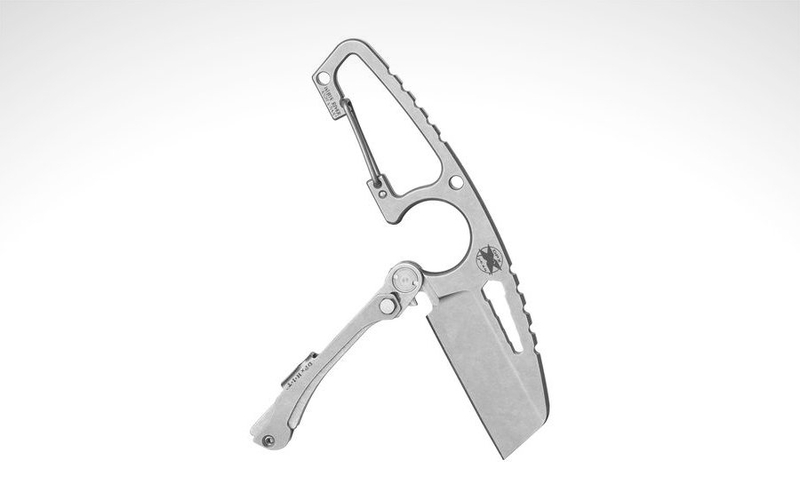 This multi-tool from Mininch houses 6 bits in a lightweight aluminum frame (under 4 ounces when loaded with bits!). It's easy to load, easy to use, and most importantly — easy to carry. Need to tighten up a screw? Simply pull the bit out of the front and load it into the back until the right bit for the job cycles forward. The side viewing windows let you know exactly where each bit is with a quick glance. Available in metric or imperial measurements, each kit includes 10 bits to help you get the job done. Hit up the link below to see a video of the Mininch in action and add one of these versatile tools to your collection.